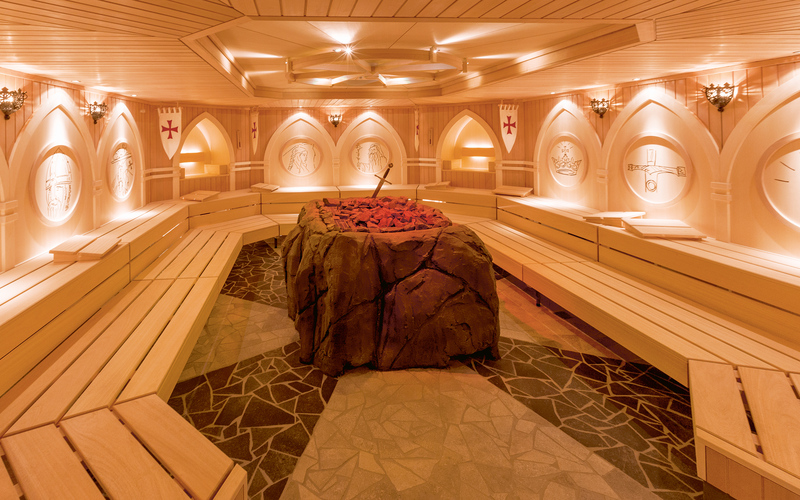 This is where the sauna experience and the indulgence in ancient myths and legends combine to form a symbiosis of a somewhat different, entertaining and enchanting kind of relaxation. Authentic installation and decoration demonstrate an absolute love of detail. 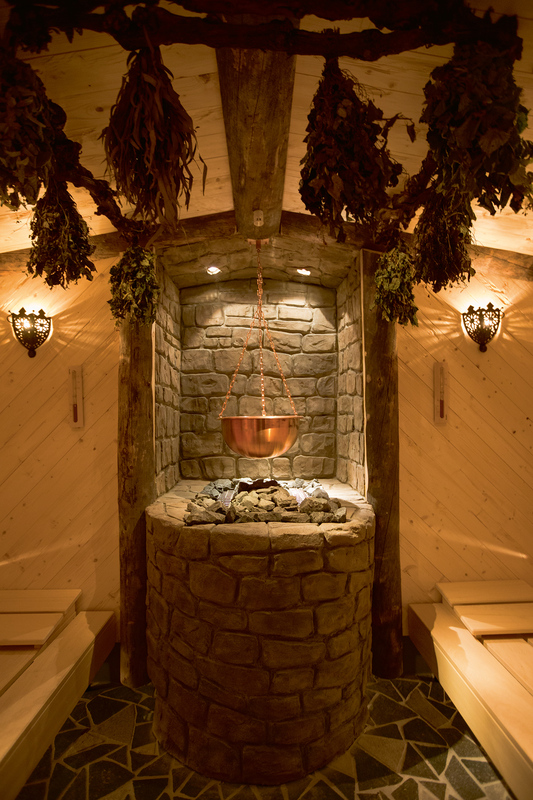 A journey to the mythical Middle Ages as a special kind of sauna experience: Two saunas were created in the discourse, the intensive Excalibur infusion sauna and the regenerative Druid sauna in the form of the warm air and herbal sauna. Excalibur sauna approx. 43 m², Druid sauna approx. 23 m², vestibule approx. 22 m². Total surface of the sauna landscape: 3,890 m² across two levels with a multitude of different tempered saunas both indoors and outdoors, geyser pools, footbath, sauna gastronomy, generously appointed indoor and outdoor lounging areas, Schwyzhuus (90° C) with room for up to 80 persons, Arena sauna (100° C), Kalevala (80° C), steam bath (45° C), nature sauna (50° C) with integrated light system, Finnish sauna (85° C), relaxation house with fireplace. Sleeping house with heated waterbeds.